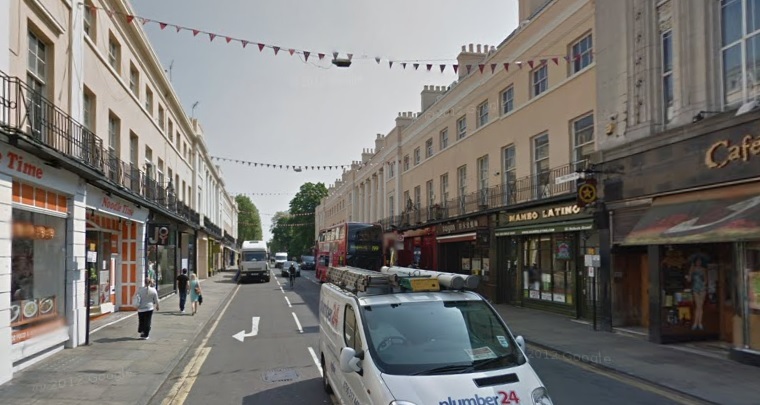 The streets of Greenwich town centre are in line for large scale investment in various areas. The plans have been around for a while and will come from the Mayor as part of Local Implementation Plan funds. Assuming the proposals, worked up over years, are approved by TfL at the end of 2015, work should commence in 2016. Work would see paving widened, lighting changed and the area de-cluttered. I’m in two minds about it – clearly the paving can get very crowded and much space is given over to tarmac, but of all the places in the borough needing funding, is Greenwich town centre really the place to focus effort and money? It’s the one place where care is given and attractive streets are in evidence over a wide area – showing the council can do it. As for clutter – there’s not as much guardrail and excessive signage as seen in most places, though some areas are a bit messy. The worst culprit is the junction by Waitrose, which Greenwich council spent large sums making ugly, cluttered and unsafe just last year. European feel with lighting attached to buildings and bunting. Scope to narrow road? London councils have just gained new powers to reduce street clutter, which should ensure more signs and lighting attached to buildings. Until last month, they were usually put up on posts and columns which were both expensive and increased street clutter. Julian Bell, chair of London Councils’ Transport and Environment Committee, commented that: “street signage and lighting is essential but too often the posts and columns are ugly and intrusive. Everyone benefits from approaches which protect the look and feel of our streets. Yet this comes at a time when Greenwich council are proposing spending thousands of pounds on unneeded signs across Abbey Wood. Will the council act on this new guidance across the borough? Hopefully, though too often some departments have shown they don’t realise there are London specific laws and rules, eg with parking, which has led to the proposal to spend much money unnecessarily. LIP or developer funding for improvements? One town in each borough gets large scale LIP funding from the Mayor at a time – Greenwich town centre will see millions after the £4.5m funding scheme for Eltham, where work begins soon. The plans at Eltham appear to offer a vast improvement. East Greenwich, however, is in much worse condition than the area to the west when it comes to streets and public realm. Aside from future LIP income, money could be found from the millions rolling in from all the local developments, such as Enderby Wharf stages 1 & 2, but precious little seems to be except for a small sum from selling off a park. 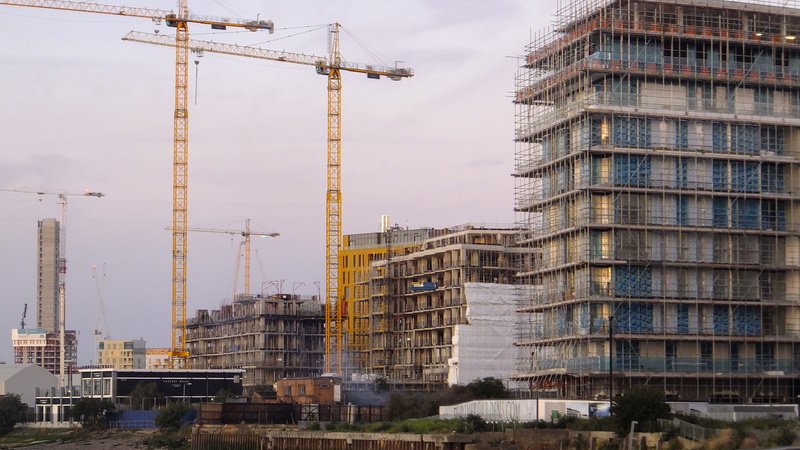 Developer contributions could perhaps be preferable for East Greenwich, with subsequent LIP awards after Greenwich town centre going to Plumstead, which is seeing little imminent development, in contrast to east Greenwich. In the short term at Plumstead, the station area could have some street clutter removed, with remaining lighting, signs and bollards painted in a uniform colour to smarten up the locality and some greenery installed. Cheap, easy and quick to do, if the will was there. That would immediately improve the area, until large scale funding is available, which would be a few years off. Most boroughs in London spend a decent percentage of developer contributions in the local areas where development occurs. The money comes from Section 106 payments, or more recently, the Community Infrastructure Levy. However, in Greenwich borough the vast majority of income from many projects heads off to central pots and very little goes towards better local streets and parks. Even a small increase in the percentage spent on public realm and communal areas would rejuvenate many areas and towns. Let’s not forget that Greenwich council has approved the second highest number of houses this year, out of 32 boroughs and the City, and most of those are large scale developments that will bring in much money. That’s in addition to very large sums in the recent past. It can do much more to make places which locals have pride in, where people would want to walk and cycle and where businesses would thrive. Ultimately, its understandable that the jewel of the borough, which brings in many tourists and money, is in line for millions. It will happen now anyway, so not much point objecting. I just hope they don’t remove what works, and council departments such as Highways realise how and why those bits work and adopt that more widely. Despite all the prior talk of new guidelines for street management, they still make a hash of most areas away from Greenwich town centre, with very little attention to detail shown. They now have new powers to easily take what works in Greenwich and adopt it widely. Will it be seen in coming months and years? And will the council start spending a bit more money to facilitate it, to improve long neglected areas with both short term, cheap and easy wins alongside longer term, large-scale schemes? It would appear real cultural change is needed in departments to achieve it, with Councillors needing to deeply scrutinise practices and enforce changes. You really are an optimist aren’t you? 🙂 how long have you been railing against the piss poor management of public spaces and street furniture by Greenwich council? What makes you think they’re suddenly going to improve just because they have received millions in external funding. I can almost guarantee that they will balls it up and make the town centre worse. The fact is the departments involved (like the wider council) are unaccountable and do not respond to any kind of resident feedback. Ha I know but have to keep hoping! To be fair there ARE some really good people in the council, some good councillors & more local groups being created both in ‘real life’ and online to place pressure. 4500 members for the Plumstead online group, which now meets regularly I believe, plus the recent Abbey Wood online group up to 450 members (the other one mainly focusing on history at 3500) that has met up and EGRA at east Greenwich, to name but three, that are all very recent and are pushing things. When I get emails from people pushing for better I tell them about local groups and cllrs surgeries etc so hopefully more are contacting cllrs directly. It will eventually feed into depts actions though a slow process. Happened in many other parts of London and the country. The groups that have been created have had cllrs attend, and Greenwich have now begun talking about regular meetings springing from that. It would be good to have similar local groupings/assemblies as Lewisham do, and this could be the path it takes. They’ll also get a bit of a surprise from the many people moving from other areas of London to places near Crossrail stations at Abbey Wood and Woolwich, plus those in East Greenwich & the Peninsula, who will often come from areas that aren’t so neglected, and won’t be happy at the state of it. That’s a good point – if anything’s going to force improvement it’s the increasing number of active residents groups and people moving in from other areas who are used to and demand better. I didn’t mean to write off everyone in the council btw- like any organisation, there are lots of good people there i’m sure. The problem is the senior management and the direction set from the top. You don’t need to look any further than the current leader of Greenwich council to see that the dictatorial, dismissive approach of the departed dear leader is entrenched amongst senior management. Do you have a link where it’s possible to find more info about this? No other source on the web for this. In my opinion there can be day/night difference only if the junction at church road-nelson rd (in picture) is replaced by a (mini)roundabout. 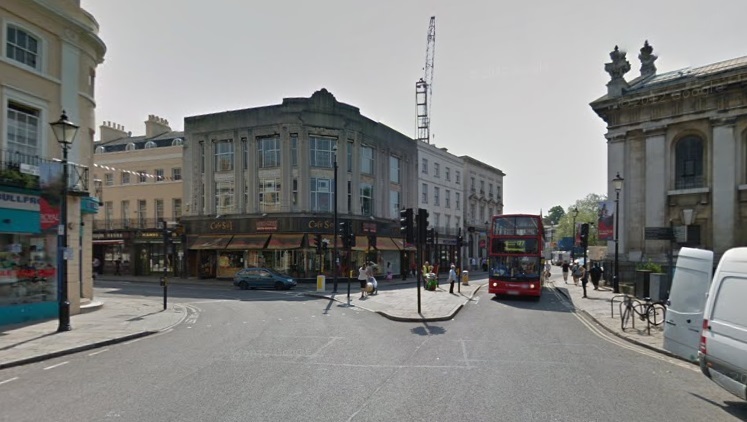 This would allow traffic to flow both ways and would allow for pedestrianisation of King William walk (without a gyratory).